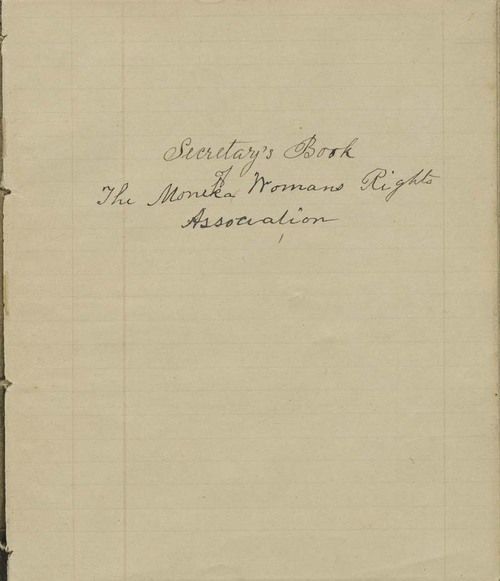 This volume contains the minutes of meetings for the Moneka Woman's Rights Association. It also includes the organization's preamble, constitution, and list of members. Members were both male and female. Officers were elected quarterly. Most meetings consisted of an address and discussion of a particular question related to women's rights issues. They addressed letters to territorial constitutional conventions and to the Kansas Legislature and supported the work of Clarina (Mrs. C. I. H.) Nichols. Call Number: History. Linn County.